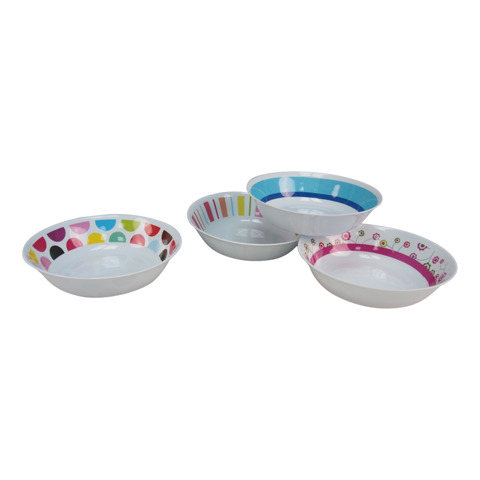 Melamine Bowl 20Cm. L = 20cm W = 20cm H = 5cm. White Background with 4 Assorted Colour Edge Patterns: Teal with Coral l Teal with Grey Triangles l Black Zig Zags l Grey Stripes. 50% Melamine | 50% Urea. 125G Packaging: Bulk Pack.